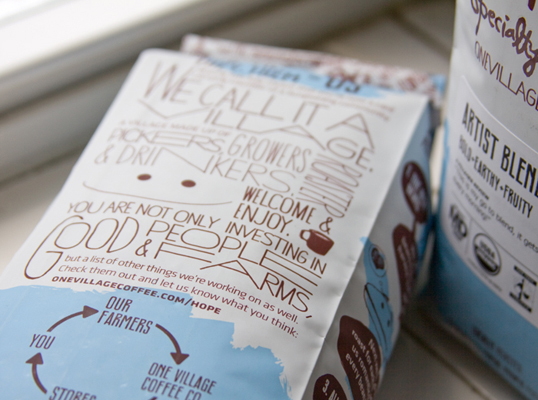 “Over the past 9 months we have spent a lot of time with the employees, roaster, and fans of One Village Coffee. 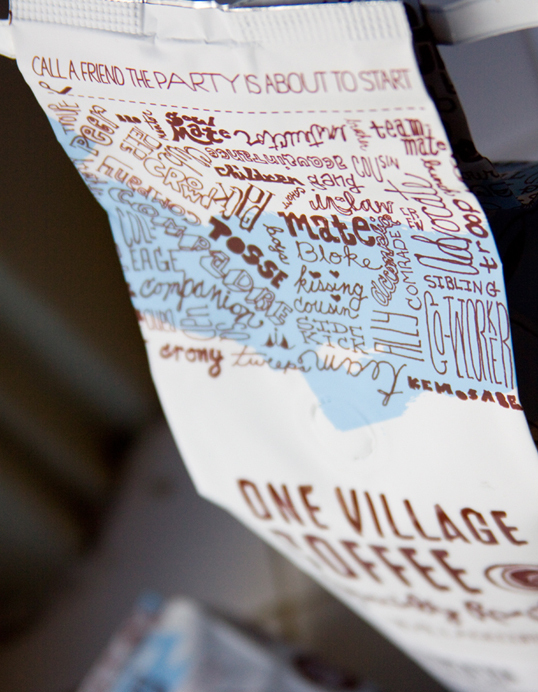 One of our goals was to package the sentiments of “a village” into a customer experience. 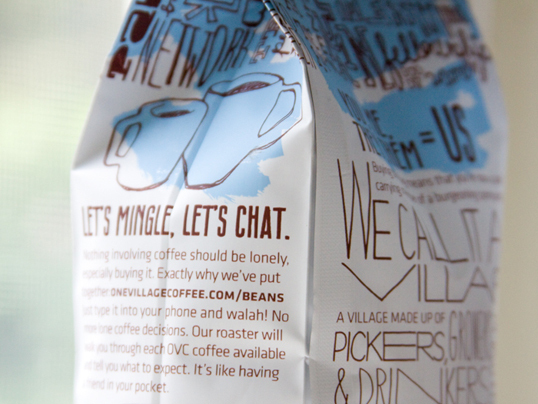 The bag was printed in white + two colors with a matte finish and gloss trapping over the logo. 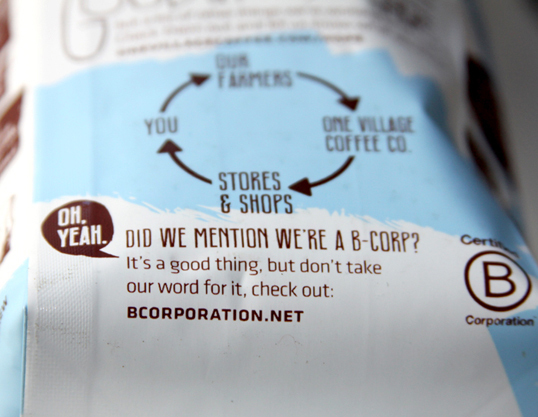 Because the budget didn’t allow for more than one type of bag, a different label with a customized icon is used to identify each type of coffee. this is amazing! i cant stop looking at it! 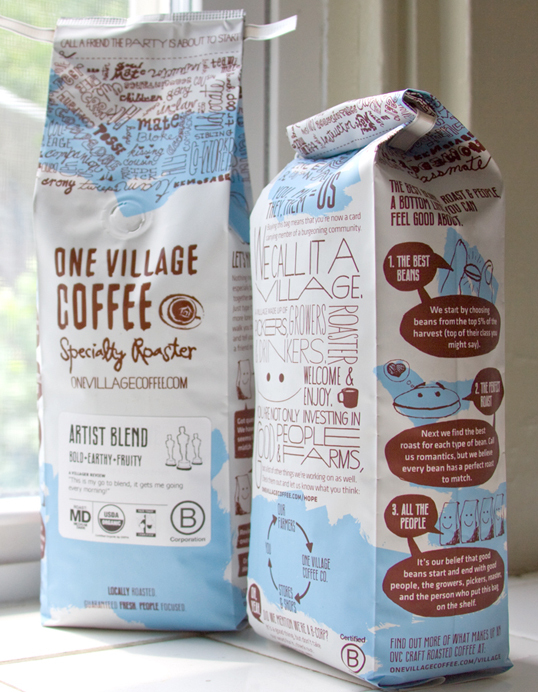 love the illustrations, custom type & color choices… can see how this would play out nicely in other areas of the one village identity. well done. great work … typo is perfect and the colors – very harmonic … love this! loved it, really great work ! This is really nicely done. 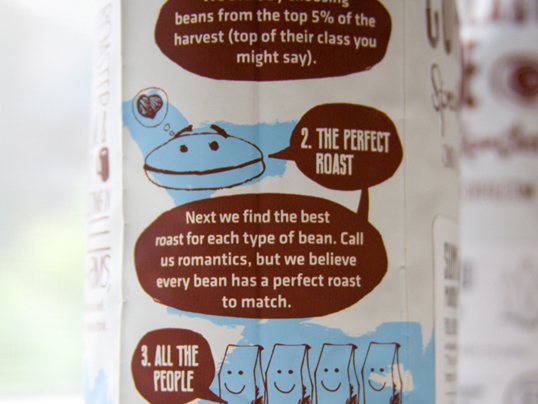 Great work, this packaging design is really unique and creative.